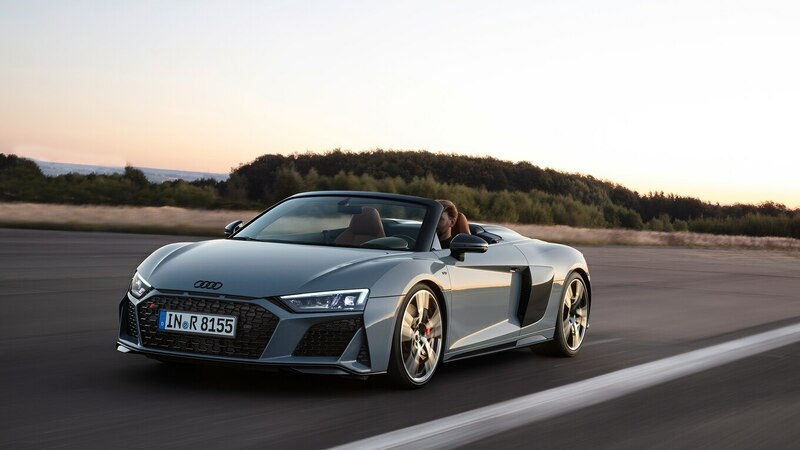 It feels like only yesterday that Audi introduced the redesigned R8, and yet it’s already getting a refresh. Not that we’re complaining. Newer is almost always better. Especially when it comes to supercars. We still need to see it in person, but at least in these photos, we like the R8’s new look. The grille’s been stretched wider, and along with the larger air intakes, it does a great job of emphasizing how wide and low the R8 is. Those design changes also give the car an angrier, more aggressive look. As far as we can tell, though, Audi left the rest of the R8’s design alone. As a result, it should still be the practical, daily-driveable supercar we’ve come to appreciate over the last decade or so. 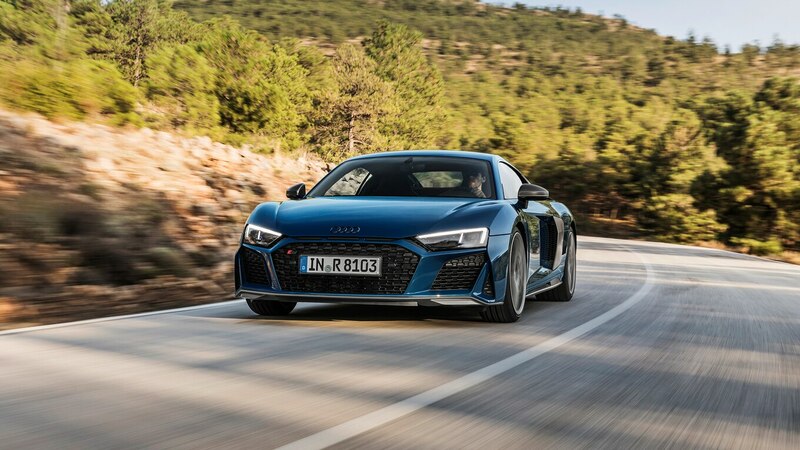 Audi says it’s updated the suspension, too, giving the R8 better stability and more precise handling. Improvements were also reportedly made to the steering for better response and feedback. Dry, wet, and snow drive modes once again return as optional driver-selectable programs aimed at improving all-weather driveability, and Audi claims braking has been improved significantly. The R8 is said to need nearly five fewer feet to stop from 62 mph. And while 19-inch wheels come standard, lightweight 20-inch rims are available, as well. Power still comes from a naturally aspirated V-10 engine offered in two different outputs. 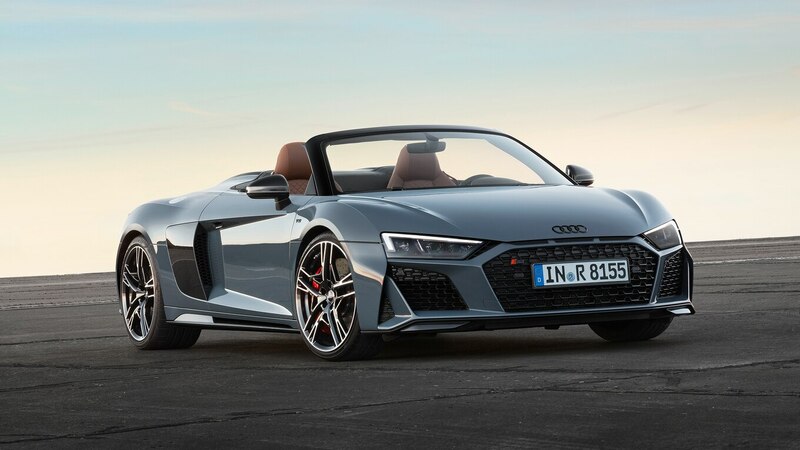 Audi says it’s made a few improvements based on lessons learned in racing, but despite saying the R8 is “even more powerful and faster,” there’s no word on how much power the available engines make. We do, however, know the front splitter is available in carbon fiber, which reduces weight by 4.4 pounds. 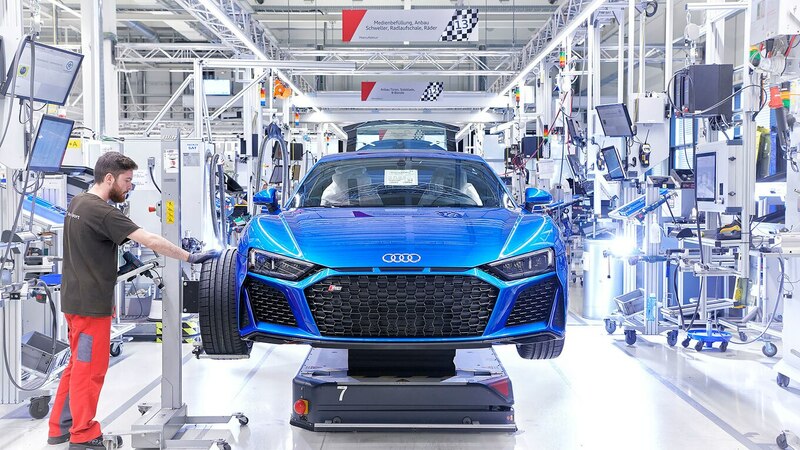 The new R8 will go on sale in Europe early next year, but expect to wait at least a few months for it to arrive in the U.S. Pricing will likely be announced closer to the R8’s on-sale date. The post 2019 Audi R8 First Look: Nipped and Tucked appeared first on Motor Trend.